Even if you aren’t a backpacker, you can be prone to the perils of malodorousness abroad. 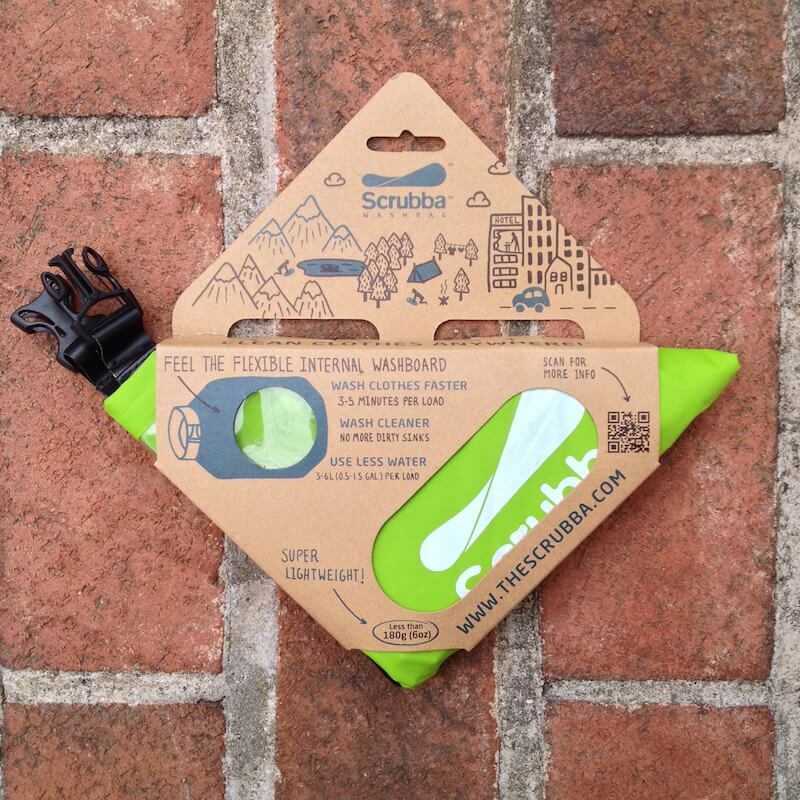 Sweaty walking tours, impromptu hikes, the occasional day(s) without a shower make the perfect formula for BO. Thankfully, with the help of some hygiene products, special clothes and the right accessories, traveling doesn’t have to mean smelling bad. Deodorant is a low-hanging fruit on the tree of smelling good. There are a ton of deodorant options out there. But with a lot of talk about deodorants, aluminum, antiperspirants and cancer, it’s hard to tell what’s best for your health. I’m no expert in the health field, but going all natural never hurts, right? Sam’s Natural, hence the word “Natural”, makes all natural skin care and hygiene products. 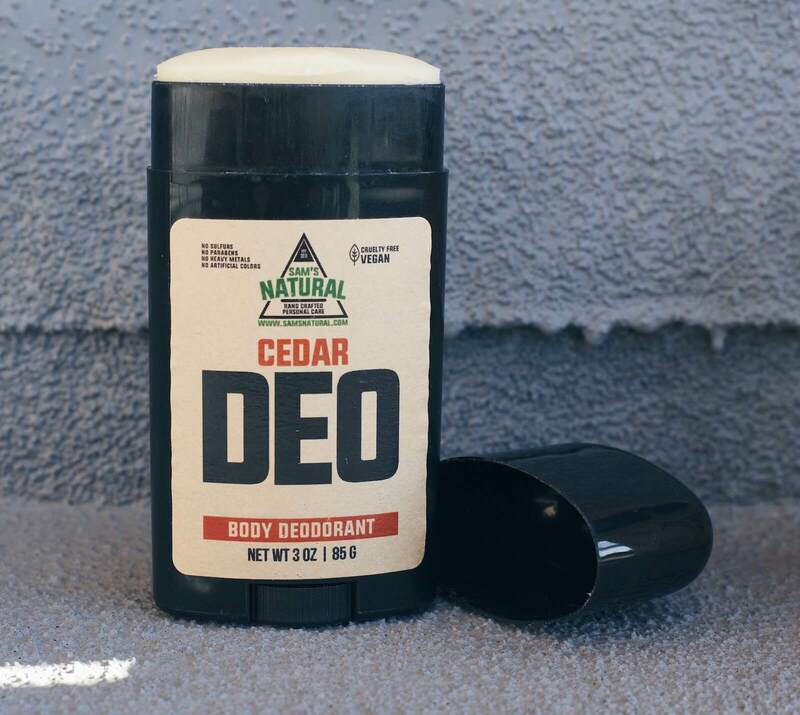 Their deodorant, which has been featured in Men’s Journal among other publications, is made specifically for men. Ingredients like sodium bicarbonate (baking soda) and essential oils are what make Sam’s Natural’s deodorant effective in eliminating odor. I use the Cedar scent, which is woodsy and understated. The scent is very faint and it’s hard to determine that it’s specifically cedar – it just smells like wood – but that doesn’t matter, because what counts is what you can’t smell. A single stick costs $10, and a pack of two costs $19. 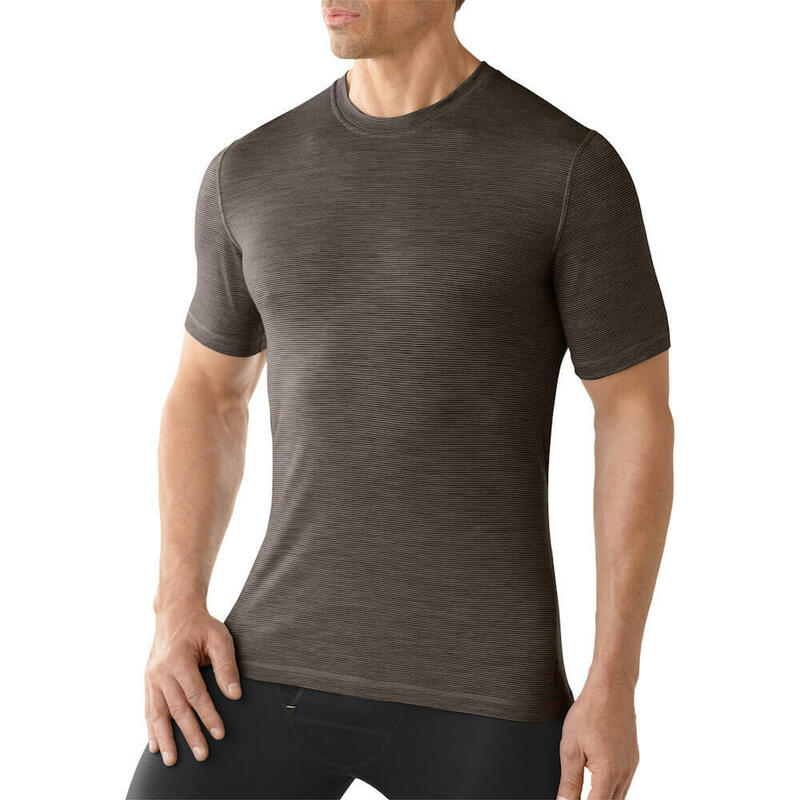 Countless adventure travelers swear by Smartwool’s merino wool t-shirts. They’re soft, comfortable and made of 100% merino wool, a material of near-mystic qualities. Merino wool is warm, not as scratchy as normal wool, and has natural anti-odor properties. While I still recommend washing your shirts after every wear, or at least after every other wear, I’ve gone several days without any odor issues. Smartwool baselayers are pricey though. Short sleeve tees can cost between $75 to $80. Of course, you need to pack soap for your next trip, but the question is what type? I prefer packing bar soap, because there’s a 0% chance that it’ll explode on a plane. Once again, Sam’s Natural is a great brand to check out. 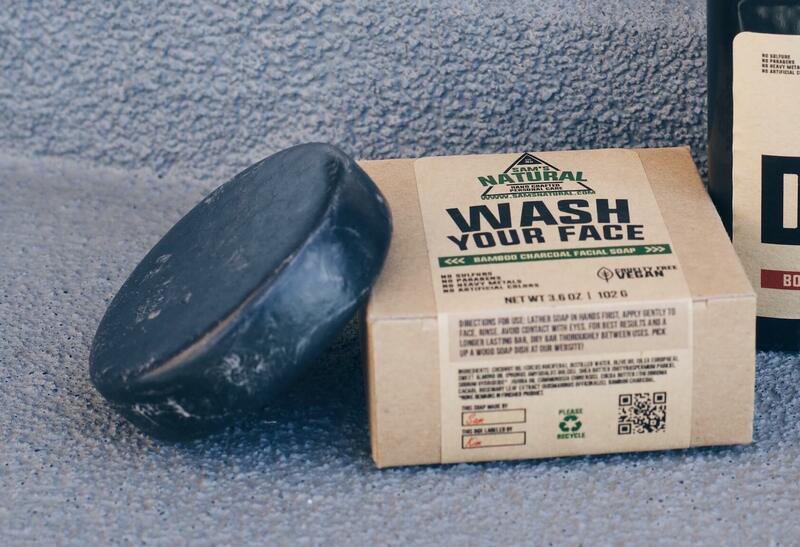 In addition to deodorant, the brand also makes soap. 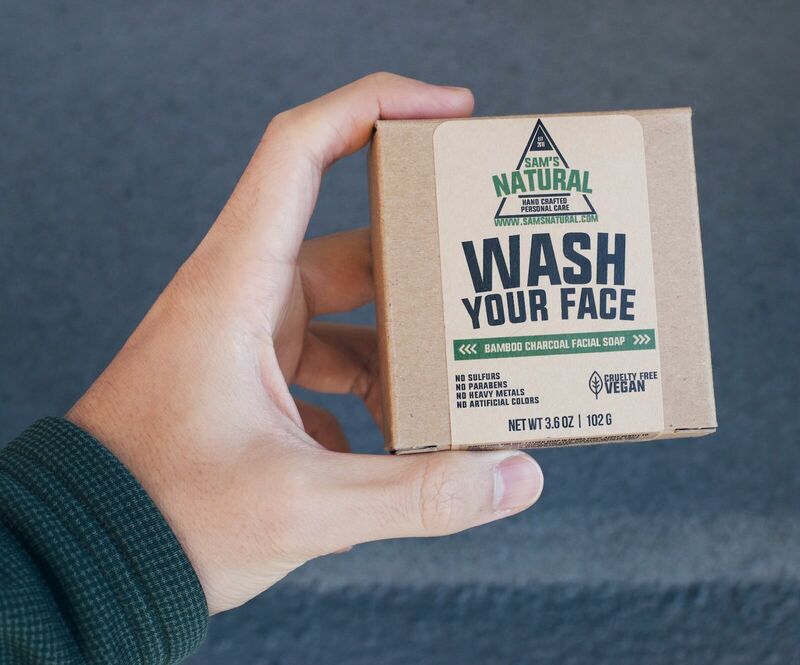 I use their Charcoal Face Soap, which looks like a hockey puck, but is made with coconut oil, olive oil, cocoa butter, and a bunch of other ingredients you can actually pronounce. The face soap can irritate the eye (writing from experience), so just don’t try to wash your face with your eyes open. The soap bar’s dark look comes from Bamboo charcoal, which apparently “helps remove toxins” and “acts as a mild exfoliant”. I have no way of verifying those claims, but the black bar looks cool – almost tactical, if you could use that word to describe the appearance of a soap bar. Take a look at their full collection of soaps here. I’ve been using my Scrubba for over a year. Unfortunately, it’s leaking a bit now. I’m disappointed by it’s lack of longevity, but still think it’s a great idea. For more information, read my in-depth Scrubba review. At this point, you should have gone from smelling bad to being odorless. Now lets turn that into smelling great. Solid cologne – cologne in solid form – is a travel worthy option for smelling good.Although not quite mainstream yet, I’d even argue it’s more logical than it’s liquid counterpart. Being solid, it won’t leak, and you won’t have any issues with TSA. 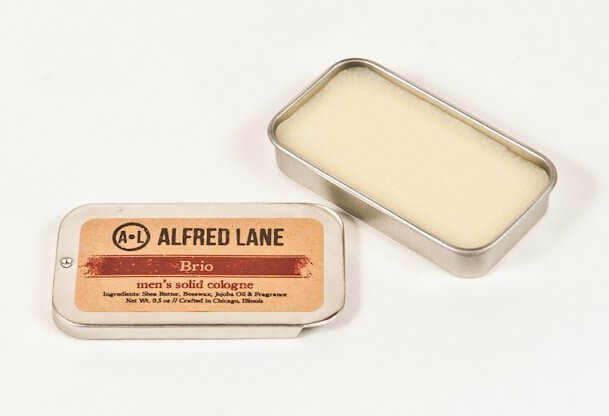 Alfred Lane is a Chicago based startup solid cologne brand, which makes solid cologne in 3 scents: Brio, Vanguard and Bravado. To apply solid cologne, “lightly slide a finger over cologne and dab onto pulse points such as the wrist, or behind the ears and neck” according to Men’s Journal. 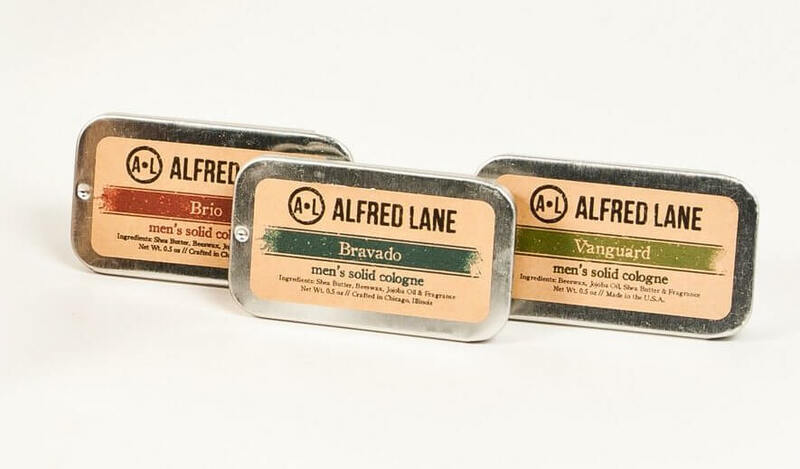 A half-ounce tin of Alfred Lane cologne comes at $18, or you could get the 3-pack of assorted fragrances for $50. Can’t take a shower? Use body wipes. 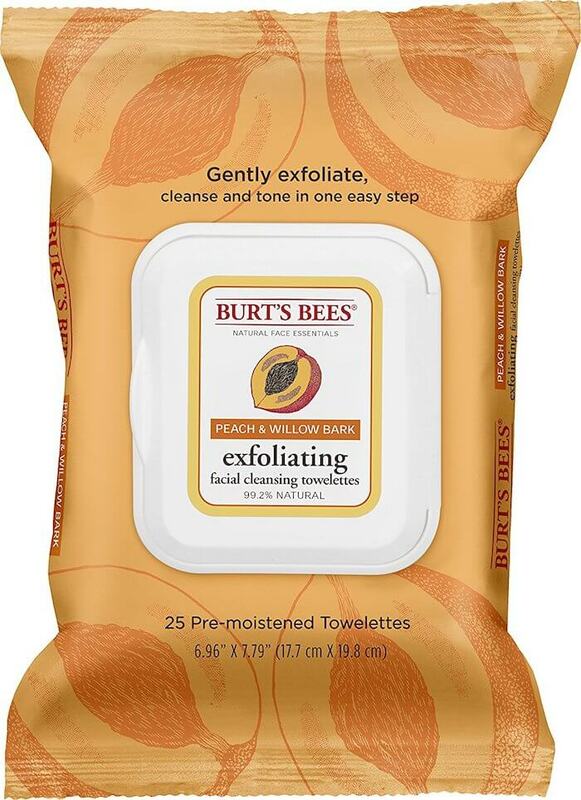 Burt’s Bees makes natural, easy to travel with towelettes for freshening up on the go. The peach and willow bark scent below is perfect for cleaning your face (or other parts of the body) after or during a long flight. The wipes remove dirt, make up and oil, without the need for rinsing. 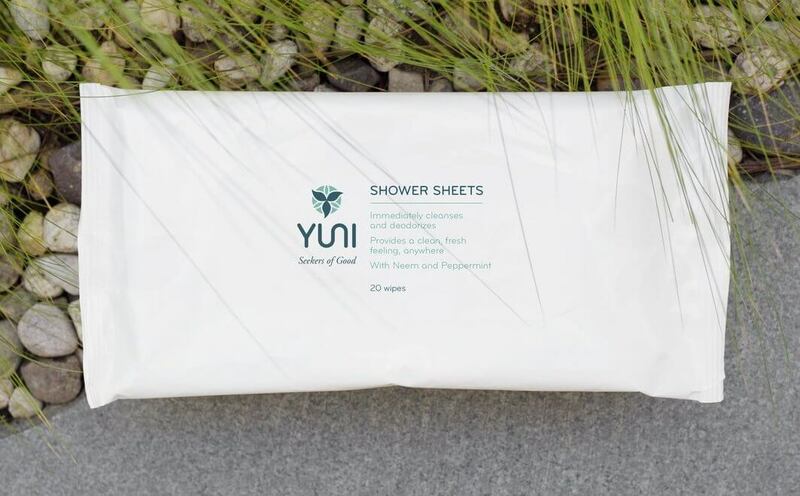 If you’re looking for full body, shower replacement wipes, check out the Beauty Shower Sheets from YUNI. These sheets easily remove sweat and odor, perfect for when showers aren’t possible. A pack of 12 sturdy and thick YUNI wipes costs $12. Dude Products, a brand once featured on Shark Tank, has options designed specifically for men. Their Dude Wipes are man sized, extra thick and extra large so you can make sure you’re completely clean. The wipes are unscented. 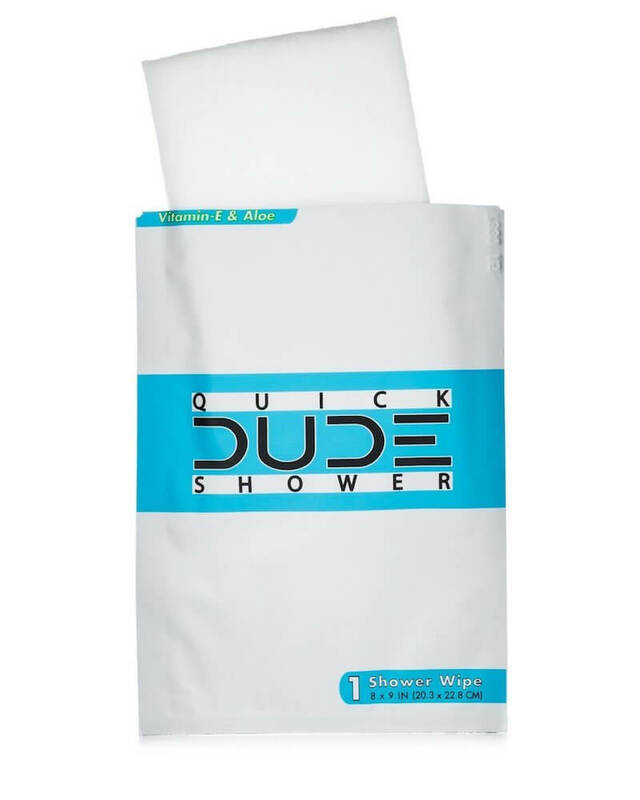 In addition to travel, Dude Wipes can be used after hitting the gym, camping or mid-day. What do you use to smell fresh while on the go? Leave a comment below. 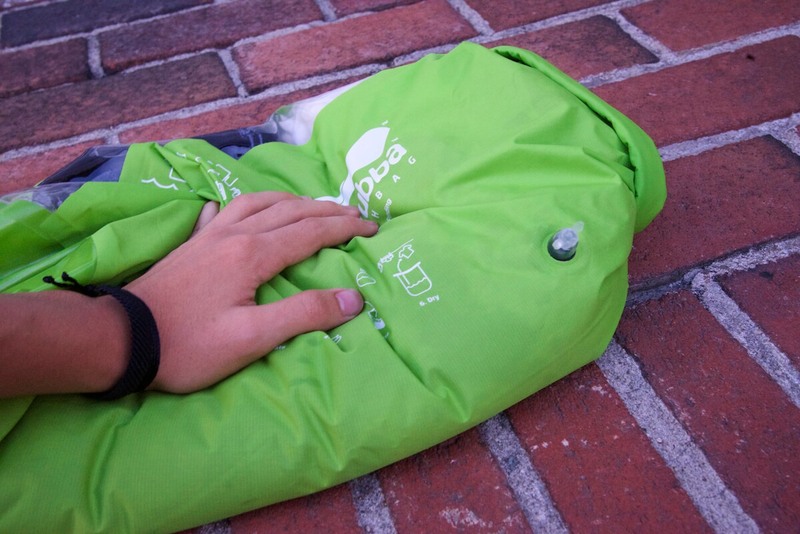 « Best Travel Backpack Size: How Big Should My Backpack Be?